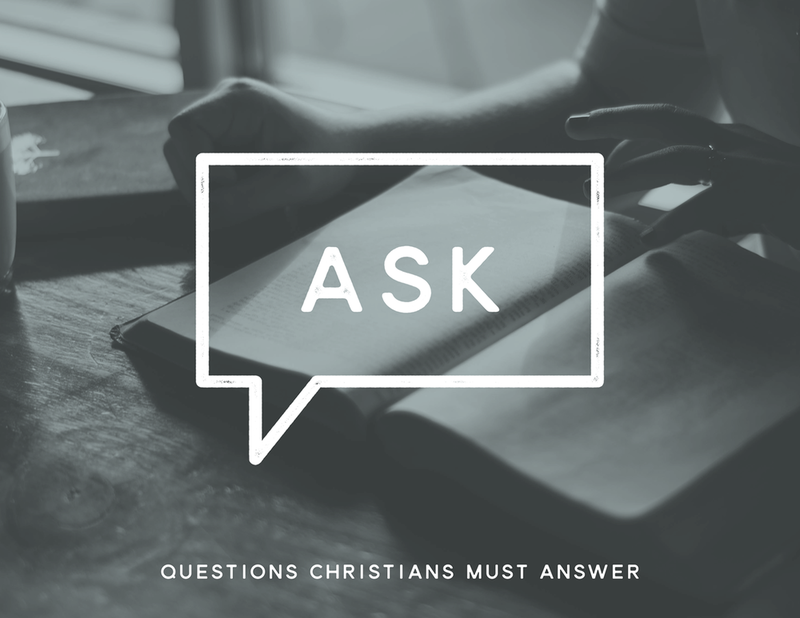 New Series - Next Sunday (April 28) we will begin a short series, ASK: Questions Christians Must Answer. Pick up a schedule on your way out. Global Outreach - You are invited to hear about the exciting things that Bruce is doing in Brazil—April 28 from 4 - 5:30 p.m. in the West Linn Fellowship Hall. We will enjoy a light Brazilian meal! If possible, please text your RSVP to Bruce (503-457-5468). ReGeneration meets next Sunday at 7 p.m. at the West Linn Campus. We will celebrate the Gospel, pursue Jesus, eat dinner, and develop a community of young adults. Men’s Breakfast - Saturday, April 27, at 8 a.m. in the West Linn Fellowship Hall (basement). Text RSVP to Billy Ferguson (503-956-2922). Women, 1st Thursday CONNECT is May 2, 6:30-8:30 p.m. at New Life Church. Dinner will be a salad bar—please bring a favorite topping! Maundy Thursday commemorates the night Jesus shared the Last Supper with his disciples and was betrayed. It was on this day that Jesus inaugurated Communion as an on-going practice for Jesus-Followers to remember his death, and anticipate his return (Mark 14:12-21). Maundy (from Latin “mandatum,” meaning “commandment,”) Thursday also commemorates the night that Jesus washed his disciples’ feet, commanding them to follow his example (John 13:1-20). We have created a resource to help you celebrate communion in your homes this Maundy Thursday (Download Communion Guide). At some point during your feast and communion celebration, you may also want to wash one another’s feet. This act of physical, practical service—though not meeting a practical need today as it did in Jesus’ day—reminds Christians that being spiritually washed by Jesus is the sole basis for belonging to him (John 13:8). If you choose to engage in this practice this Thursday, may your short and simple act of service cause you to think of Jesus and exclaim with Peter, “Lord, not my feet only but also my hands and my head!” For each of us desperately needs Jesus to wash each part of us, making each part of us his. On Friday, April 19, you are invited to join us for dinner at 6:00 p.m. in the basement at the West Linn Campus. The Good Friday service will begin at 7:00 p.m. in the sanctuary, and we will reflect upon Jesus’ death and all it accomplished as we sing, pray, retell the story, and celebrate the Lord’s Supper together. On Saturday, April 20, the Church celebrates “Holy Saturday,” somberly remembering the day that Jesus spent in the tomb, while He—by his death—was breaking the power of sin, Satan, and demons. Consider spending the day, or part of the day, fasting or in silence, lamenting Jesus’ death and the sealed tomb and growing in expectation of Jesus’ resurrection. As Jesus enters Jerusalem, the people are singing and rejoicing. They have heard of his great teaching and have asked, “What is this? A new teaching with authority!” They have seen his miraculous works and have asked, “Who then is this, that even the wind and the sea obey him?” Many have concluded that this must be the promised messiah, the Son of David who would come to save God’s people. As Jesus enters Jerusalem, they sing Psalm 118, “Hosanna!” (That is, “save us we ask!”) Blessed is the coming Kingdom of our father David!” Earlier we saw that Jesus ministry began by proclaiming the near coming of this kingdom. These people believe that Jesus has come to do it. Psalm 118 rehearses the steadfast love of the Lord. In it God’s people rejoice in the salvation that the Lord brought to Israel, they acknowledge the enemies that currently plague them, and they anticipate the coming salvation of the Lord saying, “I shall not die, but I shall live, and recount the deeds of the Lord.” What they don’t understand is how this salvation will take place. They anticipate a military conquest and a national rise to power like that of David. The actual fulfillment of this Psalm will be as Jesus has been trying to explain to his disciples; that he will go to Jerusalem, be handed over to the Romans, be crucified, and finally he will rise again. The disciples don’t understand and will abandon him. The crowds will be disenfranchised and turn on him; first hailing him as messiah, then calling for his crucifixion. All this took place to fulfill the prophecy of Psalm 118:26-29, “Blessed is he who comes in the name of the LORD! We bless you from the house of the LORD. The LORD is God, and he has made his light to shine upon us. Bind the festal sacrifice with cords, up to the horns of the altar. You are my God, and I will give thanks to you; you are my God; I will extol you. Oh give thanks to the LORD, for he is good; for his steadfast love endures forever!” Jesus came in the name of the LORD, he was bound and sacrificed as the perfect Passover lamb. We are saved, not from physical enemies, but from our sin. We are saved, not by military power, but by Jesus’ humble sacrifice. We are brought in, not to a geographical kingdom, but to a spiritual, heavenly kingdom. This is one of the key moments in the ministry of Jesus. This is a moment where the God-Man was revealed to be, in fact, gloriously God. The vast majority of his life it was obvious that he was indeed a man, but during this moment on the mountain Peter, James, and John witnessed Jesus in a moment of his glory—a moment of God revealing his glory, flexing his God-ness, showing how incredibly he had humbled himself to be our servant in human flesh, showing that he shines as the creator God. Few reject that Jesus existed. That he was a man who walked and talked and taught some benign teachings. But the astounding reality is that Jesus is the Son of God, a member of the Trinity, who humbled himself to be a servant to humanity—loving, serving, feeding, teaching, and proclaiming the kingdom of God, and, ultimately, sealing the victory of the kingdom of God by his death and resurrection. Because he is the Son of God, God himself has told us to listen to him. When he teaches, you ought to listen. When he proclaims that the Kingdom of God has arrived with him, you ought to listen. When he foretells that he will die and rise again, you ought to listen. And when he commands his followers to go into all the world proclaiming the Gospel—the good news of his work—and making disciples, you ought to listen. When Jesus talks we do not hear another simply human teacher whose opinion can sit aside all other teachers, thinkers, or leaders of all time. But instead we hear the Son of God, humbly serving, speaking truth—ultimate, reality-changing truth. Listen to him. What words of Jesus have you neglected or ignored? Confess areas where you have deafened yourself to Jesus’ voice. Repent and ponder that Jesus is God and let that influence the way you listen to what he says. On Thursday, April 18, the Church celebrates “Maundy Thursday,” the day prior to Jesus’ death on which he celebrated the Last Supper with his disciples and was betrayed by Judas. You are encouraged to somberly conclude your evening by celebrating the Lord’s Supper in your home with your family. Stay tuned for further instructions and resources. Our season of Lent will conclude on the morning of April 21, as we break fast and celebrate Jesus’ resurrection together. You are invited to join us at one of our Easter Gatherings (9:00 a.m. and 10:45 a.m. at the West Linn campus; 10 a.m. at the Wilsonville campus.) Invitations are available in the church lobby to help you invite a friend. Good Friday - April 19, you are invited to join us for dinner at 6:00 p.m. in the basement at the West Linn Campus. The service will begin at 7:00 p.m. in the sanctuary. Easter Sunday Services will be at 9:00 and 10:45 a.m. in West Linn and 10:00 a.m. in Wilsonville. Pick up invitations at the church to invite your friends and neighbors. Baby Dedication - We are having a baby dedication on May 12. If you are interested in dedicating your child to the Lord, please email the church office (office@newlifenw.com). Luncheon - You are invited to attend the “2nd Wednesday Senior Luncheon” this Wednesday, April 10 at 12:30 p.m. in the West Linn Fellowship Hall. Please bring a dish to share. Women's Gathering - Please join us on Monday, April 15 at 6:30 p.m. for fun, food, and fellowship. If you have any questions, please contact Sheila Brownell. Church News - If you would like to receive church news, prayer requests, Day of Prayer and Fasting information, and other church communication signup online today. Day of Prayer and Fasting - Please join us in a day of prayer and fasting on Wednesday, April 3. Look for prayer requests on the church blog or in the newsletter. ReGeneration meets Sunday, March 31 at 7 p.m. at the West Linn Campus. Women, 1st Thursday CONNECT is April 4, 6:30-8:30 p.m. at New Life Church. It's spring-cleaning time! Bring 3-5 items to swap from any of these categories: books, kitchen/pantry, gardening/plants, women's clothing/accessories, home decor. Bring a Bible and come prepared for speed-dusting, learning from 1 Samuel, and launching the book of Acts. RSVP on Facebook, Remind, or text Marcia at 503-720-7197. Shared Meal after the worship service Sunday, April 7. Please join us and bring a main dish and a side dish (salad, fruit, dessert, etc.) to share with others. Your generous contributions allow us to be hospitable to guests who may wish to join us. This is a great time to connect and reconnect with one another. Characteristic of the action-packed Gospel of Mark, the first Jesus-followers respond to Jesus’ call by immediately leaving their nets (James and John left their dad in the boat!) Mark portrays this forsaking of career and community as being done “immediately,” so we subconsciously impose the meaning “easily” and conclude that following Jesus must be easy. Still today, Jesus is calling people everywhere, saying “Follow me!” Perhaps when you hear his voice, you can picture yourself jumping out of the boat, leaving family behind and throwing caution to the wind, to follow Jesus—because it must be “easy.” But if you know your own heart, that picture doesn’t accurately reflect the real internal struggle to follow Jesus. No, instead of “immediately” following Jesus with a reckless abandon, we calculate, we doubt, we turn back, we fall fearfully out of the boat instead of jumping out, we interview Jesus first, we linger awhile, and only then do we maybe, actually follow him. And even when we do follow him, often our Simon-like aspiration looks more like Simon than we like to admit—denying that we even know Jesus (Mark 14:66-72). The Church is a place where Jesus-followers can freely admit their difficulty in following him. Side by side, we struggle to follow King Jesus in Jesus’ Way. Together, we repent of our failure to follow Jesus; together, we confess our excuses; and together, we believe the Gospel, which we so desperately need daily. This week, reflect on the things that keep you from following Jesus “immediately” and confess them to God, agreeing with him that they are illegitimate, albeit real and painful, barriers. Repent of those things, and turn from them. Believe the Gospel that God has come to do in you and through you what you are unable to do yourself, and that life lived Jesus’ Way will always be worth it. During this season of Lent, may the God of hope fill you with all joy and peace in believing, so that by the power of the Holy Spirit you may abound in hope. ReGeneration meets next Sunday (March 31) at 7 p.m. at the West Linn Campus. We will celebrate the Gospel, pursue Jesus, eat dinner, and develop a community of young adults. Men’s Breakfast - Saturday, March 30, at 8 a.m. in the West Linn Fellowship Hall (basement). Suggested donation of $5. Text RSVP to Billy Ferguson (503-956-2922). The point of the passage is not in the details, however. One of the reasons Jesus was tempted was to demonstrate his humanity. Humanity is tempted daily with the allures of comfort and power—Jesus faced the same temptations. Another reason, however, was to demonstrate his divinity. Jesus spoke with the authority of God’s Word and though tempted, resisted Satan and did not sin. The implications of Jesus’ temptation are good news for the Church. We admit, as a church, that while all is not right in the world, similarly, all is not right in us. We are too willing to bend our knee to Satan and serve the gods of comfort or power. We need to be made right with God, in desperate need of a priest who will present us before God as righteous. No human priest can accomplish this for all broken people everywhere, because all human priests are likewise imperfect, limited to a specific place, and then die. Jesus, by living the life we were unable to live (without sin), dying the death we deserved to die (in our place), and rising to give new life to all who follow him, serves as our Great High Priest and makes us right with God. May the God of endurance and encouragement give you hope as you imitate Jesus during this season of Lent.